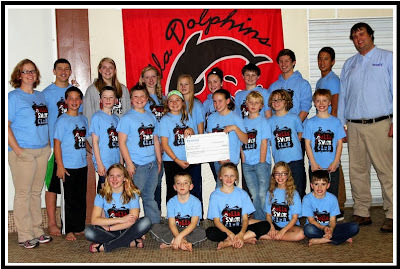 On Nov. 4, 2013 Theisen’s announced Pella Swim Club had received a More for Your Community Grant. Pella Swim Club a member of USA Swimming, coached by Jennie Hedrick-Rozenberg currently has 37 athletes with swimmers from Pella, Knoxville, Newton and Ottumwa. In its fifth year of helping Iowans, the Theisen’s More for Your Community Grant program announced $174,671 in awards to 147 agencies serving children and their families. Through a corporate philanthropic partnership With the Community Foundation of Greater Dubuque, a Theisen’s More for Your Community grant of $600.00 has been made to Pella Swim Club for its project titled: Lightening Detector for the Pella Outdoor Aquatic Center.